With cold and flu season upon us, it’s the perfect time to remind ourselves how to prevent the spread of disease. 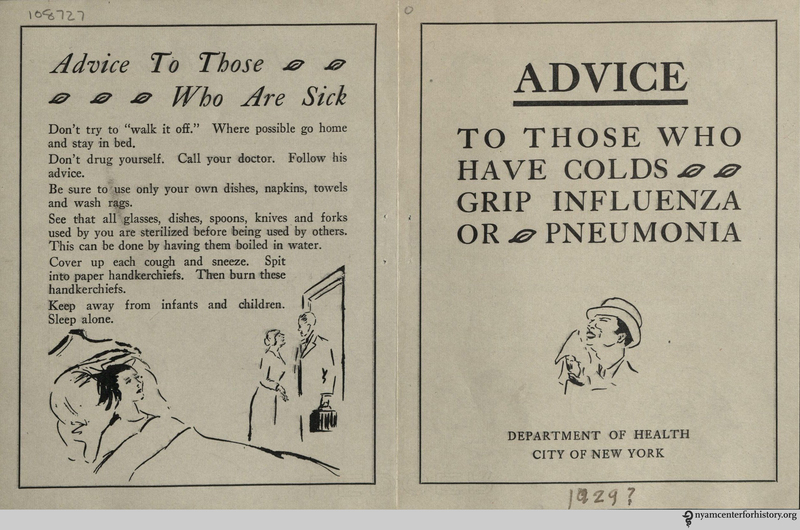 A pamphlet from New York City’s Department of Health, likely printed in 1929, gives advice still relevant today, complete with some fabulous illustrations. The recommendations vary only slightly from those now given by the CDC. Side one of the unfolded pamphlet. Side two of the unfolded pamphlet. 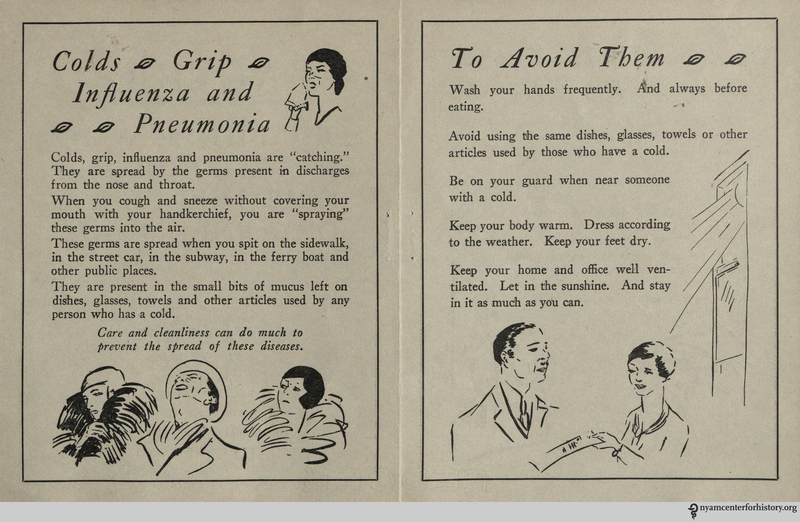 This entry was posted in Collections, History of medicine and tagged cold, colds, flu, health pamphlet, influenza, public health, public health campaign by nyamhistorymed. Bookmark the permalink.